Care Plus Provider believes that no two clients are the same and that each is unique in his/her own way; therefore, has different needs. At Care Plus Provider, we design a customized Personal Care Plan that is monitored regularly and updated periodically. The delivery of care strictly conforms to the client’s specific needs in accordance to his/her unique care setting and environment. 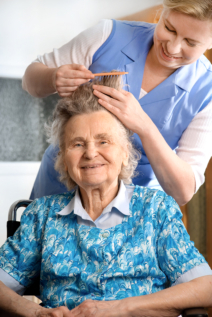 Our well-screened, compassionate, dedicated and professional caregivers are enthusiastic and almost always go beyond ordinary in-home care services to make sure that our clients get the excellent optimal quality Personal Care Services. In some instances, Care Plus Provider are placed under the supervision of a registered nurse to ensure the accomplishment of the goals of care. Give us a call today to be immediately assisted with your concerns and inquiries – 1-800-571-1618 or 408-348-2265 / 925-999-9728.